Cooking parties are a fabulous way to spend a Saturday afternoon or for a low key bachelorette party night with the girls. Harrah’s Casino Resort is a gleaming, state of the art cooking school for connoisseurs and beginners alike. Try a French dinner party class or a class from their ‘Girls night’ range that feature fondues to a Vegas themed menu. All classes include wine pairings and bottles of wine under $25. Surprise the girls afterwards with a Butler in the Buff in your hotel suite to round off the evening with a favourite cocktail or two! You can’t really go through a girls weekend without a downtime activity, a chance to chat, catch up and anticipate the upcoming evening adventures. Bask spa at Revel is 32,000 square feet of splendour, with hammam, mineral pools that wind around warm lounges, a Himilayan salt grotto and steam rooms giving you plenty to indulge in while you wait for your treatment in one of their 32 secluded rooms. This idea is perfect luxury for the out of town bachelorette party in Atlantic City! Your guide, a gorgeous Butler in the Buff (fully clothed this time!) will navigate the shops of Tanger Outlets with your group. Enjoy VIP treatment as your gorgeous shopping assistant meets you in your hotel, hails your taxi, carries your purchases, opens doors, even take your orders for lunch or a naughty little afternoon cocktail! Of course no trip to Atlantic City is complete without a trip to a world famous casino or two! From Caesars to Trump towers and the Tropicana there’s a ton of fun to be had whether you’re in it to win on the big tables or just want to casually play the slots. Knock out the casino floor in style with black cocktail dresses and the bride to be decked out in a vibrant colour! Atlantic City is a hive for A- list comedians, singers and performers from around the world. Catch the hottest world class DJ’s at Revel’s nightclubs afterwards with bottle service for a truly VIP experience. Many hotels offer complete packages for bachelorette parties and host fantastic shows within their resort. Check out Hard Rock Cafe, Revel and Showboat. Ready to up the ante and the naughty factor? Look no further than Royal Jelly at the Revel. For the ultimate Burlesque experience join in on their bachelorette party packages which include lessons from RJ performers, VIP entry to the nightclub with bottle service and complimentary champagne! If you want your bachelorette party to rub shoulders with celebrities in true Jersey Shore style than look no further than mur.mur. Glossy, sensual and always hosting world class DJ’s. The VIP lounge has eye candy bottle service and a great view for watching the beautiful people before getting your dance on. Tropicana Boogie Nights is just a good time. Bar none. It’s full of fun loving party goers dancing to hits from the 70’s and 80’s. Perfect for a fun theme night! After the eye masks have been removed and panda eyes tended to, fresh food in an easy atmosphere will definitely be in the cards for a rather delicate headed bachelorette party! If it’s not too busy Hannah G’s is the sweetest little eatery in Atlantic City and a local favourite with reportedly the best omelettes in town. Just a short walk off the boardwalk is charming Brittany cafe on Ventnor Ave. Pancakes and waffles are a specialty and graciously light on the wallet which may be welcome after an indulgent weekend! All of these fabulous activities are suggestions that work well on their own or combined for a fabulous weekend. 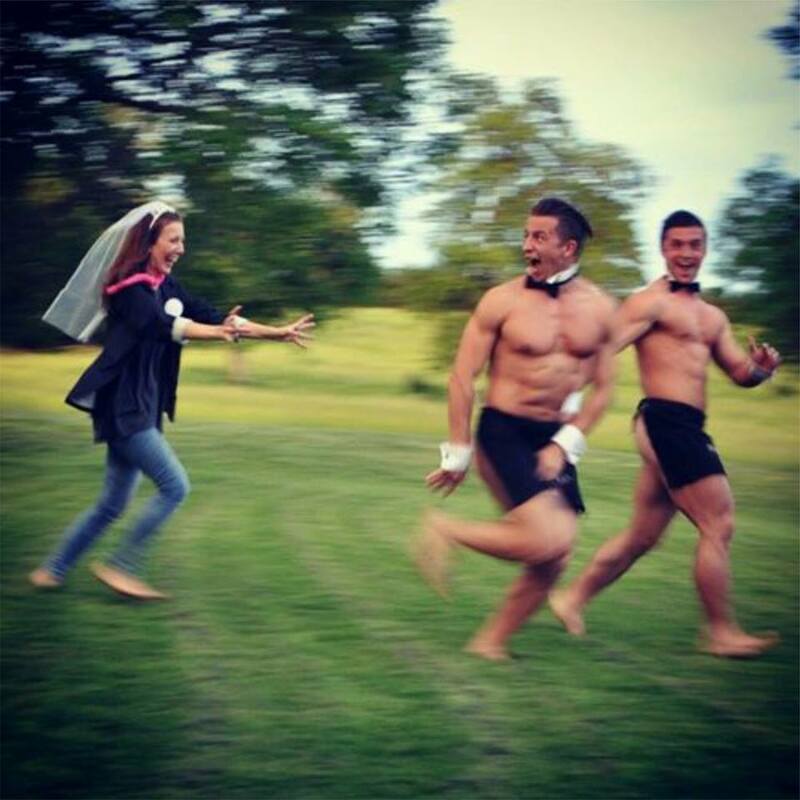 Remember, whatever your plans are, to include a fabulous Butler in the Buff to compliment your experience! Ask for a quote today. Butlers in the Buff are also available in Miami, Tampa, New York and Philadelphia see all our other locations here.